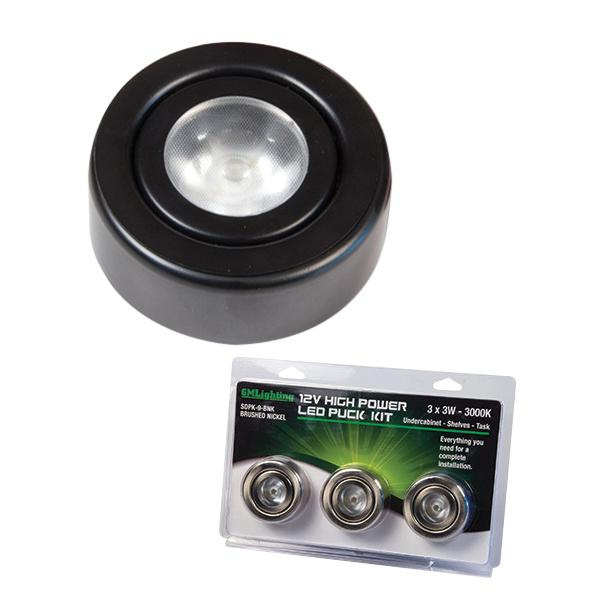 GM Lighting SDPK Series Puck light in white finish, has metal construction. Prismatic glass of light ensures even light distribution. Light uses 3-Watt LED lamp that has voltage rating of 12-Volt DC. Lamp has color temperature rating of 3000K and color rendering index of 80 to ensure optimal light level in the surrounding. This lamp in the light offers 890-Lumens of bright light output. This surface or recessed mountable light measures 2-5/8-Inch x 1-Inch. Light is cETL listed.